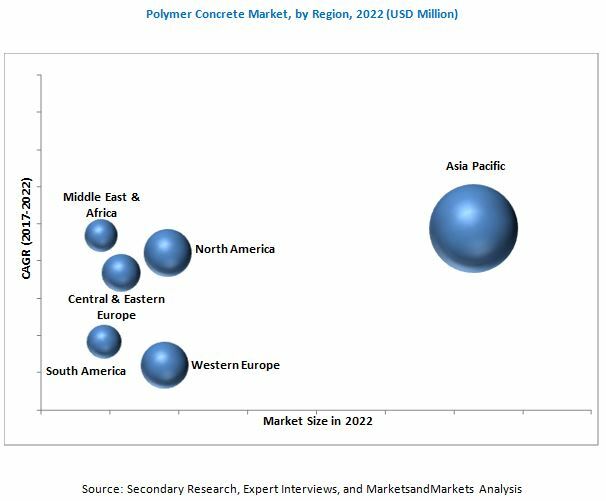 [160 Pages Report] Polymer Concrete Market size was valued at USD 417.4 Million in 2016 and is projected to reach USD 641.9 Million by 2022, at a CAGR of 7.5% during the forecast period. In this study, 2016 has been considered the base year and 2022 as the forecast year to estimate the polymer concrete market size. Different secondary sources, such as company websites, encyclopedias, directories, and databases such as Hoovers, Bloomberg, Businessweek, Factiva, and OneSource have been used to identify and collect information useful for this extensive, commercial study of the global polymer concrete market. 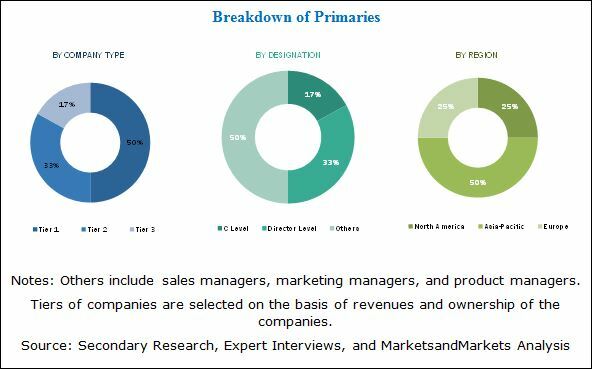 Primary sources, including experts from related industries, have been interviewed to verify and collect critical information and assess prospects of the market. The top-down approach has been implemented to validate the market size in terms of value. With data triangulation procedures and validation of data through primaries, the exact values of the overall parent market size and individual market sizes have been determined and confirmed in this study. The polymer concrete market has a diversified and established ecosystem of upstream players, such as raw material suppliers, and downstream stakeholders, such as manufacturers, vendors, end users, and government organizations. This study answers several questions for stakeholders, primarily, which market segments they should focus upon during the next two to five years to prioritize their efforts and investments. These stakeholders include polymer concrete manufacturers such as BASF (Germany), Sika (Switzerland), Mapei (Italy), Fosroc (UK), Dow Chemical (US), SAUEREISEN (US), Kwik Bond Polymers (US), Dudick (US), ErgonArmor (US), and Crown Polymers (US). This research report categorizes the global polymer concrete market based on class, type, application, end-use industry, and region and forecasts revenue growth and provides an analysis of trends in each of the submarkets.